In his new course, IM Valeri Lilov provides a strategic approach to handling the Sicilian from the black side. IM Valeri "Tiger" Lilov doesn't list an endless number of variations and sub-lines, rather providing ideas and concepts that will make you understand one of the most used and famous chess openings ever, and help you get to the next level! It includes 5 hours 57 minutes of comprehensive training you can study over and over again! The Sicilian defense is arguably the most popular opening in chess. Yet, many players don’t have a good idea how to play it well, especially with so much theory out there. Given the extra space and attacking possibilities for white, one should always have some aggressive ideas at his disposal with black, yet finding these isn’t as easy as it sounds. That could prove even more difficult for the unprepared chess player. In his new course, IM Valeri Lilov provides a strategic approach to handling the Sicilian from the black side. 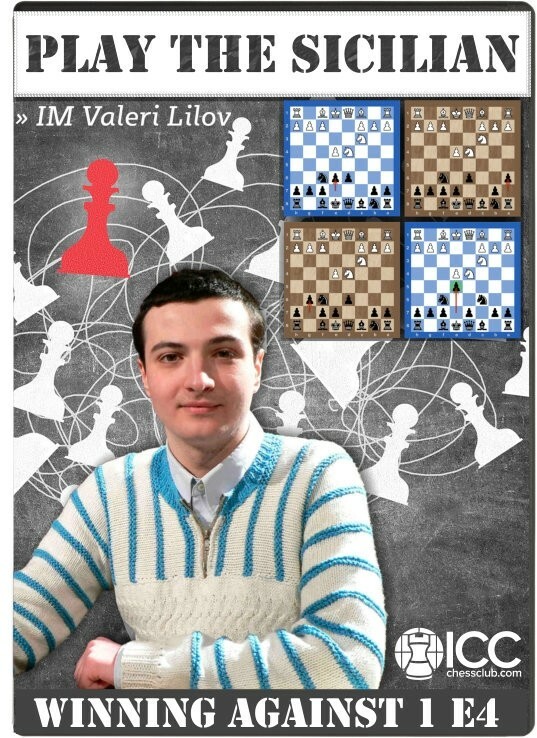 IM Valeri "Tiger" Lilov doesn't list an endless number of variations and sub-lines, rather providing ideas and concepts that will make you understand one of the most used and famous chess openings ever, and help you get to the next level!